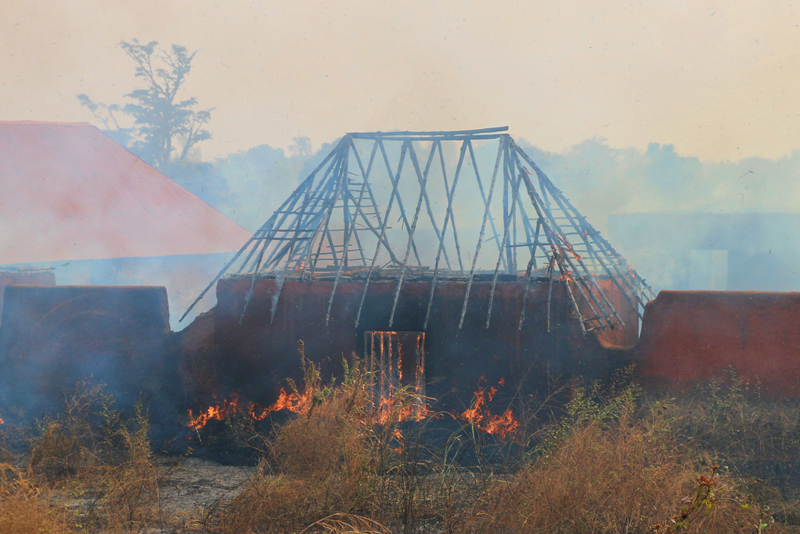 On 14 January 2015, a fire has once again ravaged the Palace of the King Houégbadja in the Royal Palaces of Abomey World Heritage property in Benin. Thankfully there were no victims. 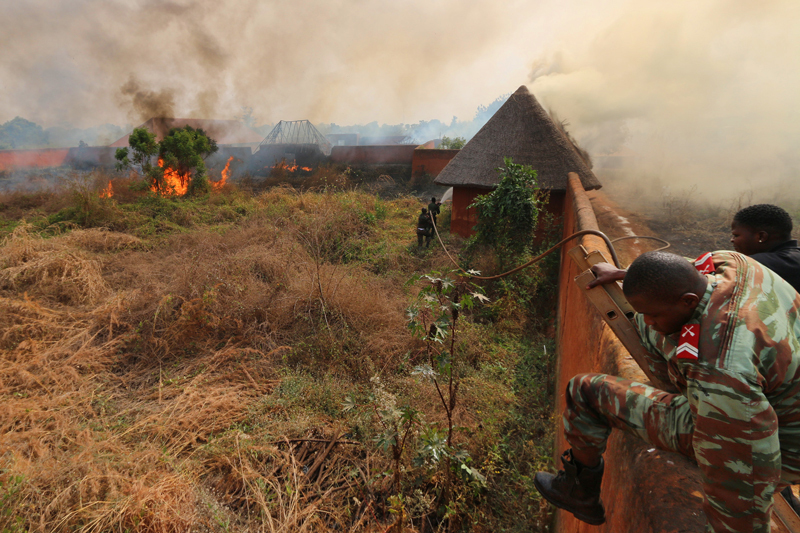 Despite the efforts of firefighters, all of the thatched roofs of the palace complex were burned. As they were built from fire-resistant earthen architecture, the walls of the palace buildings were spared. The cause of the fire is still unknown. 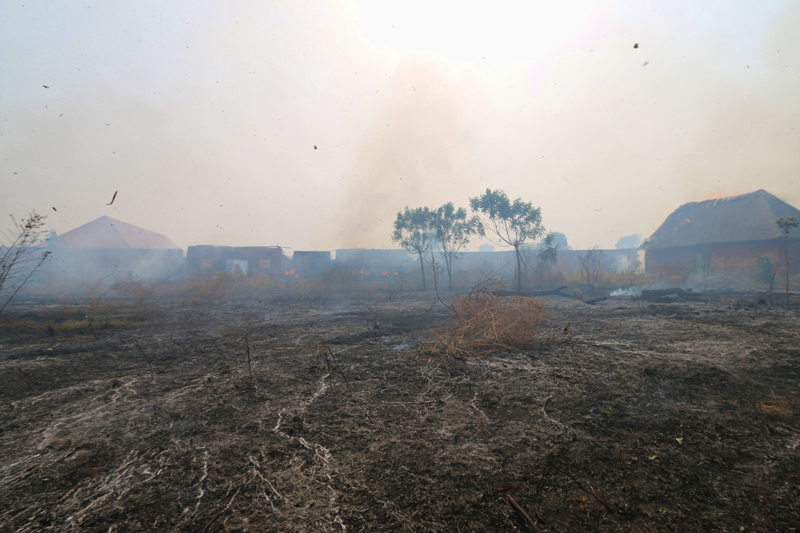 The national authorities have already sent a mission to the site to investigate the possible cause and to evaluate the extent of the damage. UNESCO has been working closely with the African World Heritage Fund (AWHF), the City of Albi in France (through the Convention France UNESCO), the Ecole du patrimone africain (EPA) and CRAterre, the International Center for Earthen Architecture, to accompany the State Party of Benin in safeguarding their only World Heritage site. Numerous projects have assisted the site manager and staff with the reconstruction of palaces, the development of a disaster risk management plan, the procurement of emergency equipment, and other conservation and management issues. UNESCO and its partners stand ready to accompany the State Party of Benin in its response to this devastating event. The Royal Palaces of Abomey was inscribed on the UNESCO World Heritage List in 1985. From 1625 to 1900, 12 kings succeeded one another at the head of the powerful Kingdom of Abomey. With the exception of King Akaba, who had his own separate enclosure, they all had their palaces built within the same cob-wall area, in keeping with previous palaces as regards the use of space and materials. The royal palaces of Abomey are a unique reminder of this vanished kingdom. For more information on this World Heritage property, please consult our web page for the Royal Palaces of Abomey.